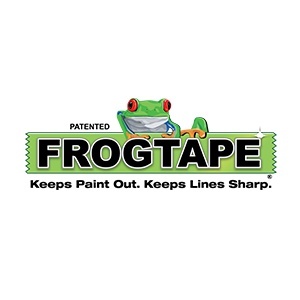 From its UK launch in 2010, FrogTape® very quickly changed the market to become the Nations No1 masking tape. Well FrogTape ® is the only painters masking tape treated with PaintBlock ® Technology. It reacts best with the moisture in water based paints and instantly gels to form a micro- barrier that seals the edges of the tape, preventing paint bleed.